Click here to access information on Lawson State's academic programs (both General Education and Career Technical). Syllabi: All faculty are expected to use the standard Alabama Community College System syllabi template in the construction of course syllabi. Departments have the authority (via the collective agreement of faculty in a department) to either use a shared template (outlining specific requirements for students per course) or can elect to enable faculty (on an individual basis) to devise their own syllabi or use a hybrid version, meaning some aspects of the syllabi are universal and other aspects are not. In the end, all faculty have the ability to always supplement their syllabi, but they cannot opt out of key course criteria that has been agreed upon by collective faculty (through consensus). For example, if the English Department deems that teaching MLS Style in ENG101 (English Composition) is an important objective for the meeting of clear standards of performance in ENG101, an instructor (full or part-time) cannot opt out of that decision. He or she can, however, teach students both MLA Style and APA Style, if they so select. Syllabi must be posted in Blackboard within all classes. 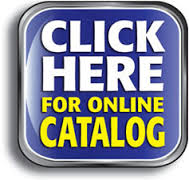 Textbooks and Textbook Selection: Textbook selection is a faculty responsibility. 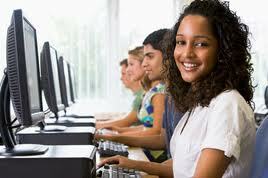 All courses at Lawson State must use the same textbook for both Dual Enrollment and regular ground courses. eCollege courses (distance education) can elect to use a different textbook (typically an eBook) for their Distance Education classes. However, all eBooks (for the same class) must be the same. All textbook changes MUST be approved by the Textbook Committee. Textbook changes should NEVER occur during the middle of the school year. Textbook changes should only take place between school years, not school terms. In selecting textbooks it is important that the majority of faculty teaching the course have a role in selecting the new textbook. Textbook selection is not an administrative function; it is a faculty function. Curriculum: Changes in curriculum, including modifications to existing curriculum, is a faculty responsibility guided in part by instructional administrators. In other words, it is a shared responsibility. Curriculum changes should never be solely led, though, by administration. Faculty input and decision making, then, is at its core. Curriculum created by salaried faculty for the use and purpose of improved student learning (including the production of eCollege courses) are owned by the College, not the instructor. This includes all materials and resources created by the salaried employee for the purposes of instructing Lawson State students. Academic Freedom: Employees at Lawson State are provided with the academic freedom to teach their subject matter without intrusion. 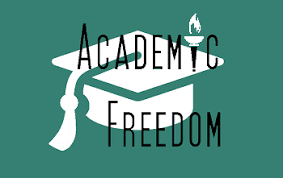 "Academic Freedom is not equivalent to one's First Amendment Rights; it is more narrow...there are boundaries (view video below for more insight) (Kateeb, Lewis and Hamoush, 2010). Academic Freedom does not mean, though, that an instructor does not have to follow the outlined College curriculum or can inject (as Case Law as determined) controversial topics or insensitive examples that are expressly intended to incite that are not related to the subject matter being taught (e.g., Fiticious Example: expressing one's disagreement with a controversial decision (Roe vs. Wade) reached by the Supreme Court and asking students who feel otherwise to drop your class, and you teach music). Faculty, as part of Academic Freedom, should participate in all textbook, curriculum adoption and modification meetings and provide input on all decision. Click on the Academic Freedom picture below to access LSCC's Academic Freedom Policy. Click here to learn more about the definition of Academic Freedom. Click here for more information and resources on Academic Freedom. View this short presentation on the history and legal entanglements of Academic Freedom. (Kateeb, Lewis and Hamoush, 2010). Institution Academic Freedom: The College has Institutional Academic Freedom which is designed to protect the Curriculum and the College's mission and ensure it is meeting the needs of all students in the acquiring of college credit for all courses. Click here to learn more about Institutional Academic Freedom. Complaints: Student complaints or faculty complaints are all investigated by the College. If a complaint is brought to a faculty member, it is the obligation of the faculty member to report the complaint to the proper authorities at the college. Faculty are considered state agents. Violation of student rights is a serious matter. Thus, is it important to recognize that as an employee of Lawson State one is representing the College, not self. Failing to report a complaint is serious and can lead to civil responsibility, particularly if the complaint deals with a federal law (e.g., Title IX, ADA, FERPA, etc...). The role of the administrator is to provide a fair and neutral process and to come up with a remedy to a conflict that is both reasonable and adheres to policy, state and federal laws. Thus, as a salaried employee, he or she should work to deescalate conflicts, not escalate conflicts. 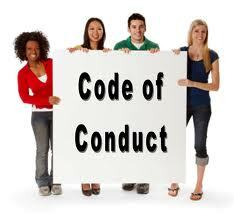 All students and other employees should be treated respectfully and fairly at all times. Rudeness or providing poor customer service is never acceptable. Click here to learn more about the Complaint Process at Lawson State. Grade Appeals: Lawson State has as detailed Grade Appeals Process that is outlined in the Student Handbook (see icon above). Grade Appeals center on final grades, not individual grades. Students wishing to final a Grade Appeal must do so via the Advocate Online System. For more information on Lawson State's Grade Appeal Process, Click Here.